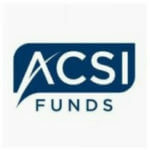 Kevin: My name is Kevin Quigg and I am Chief Strategist for ACSI Funds, a new ETFS issuer. Previously I was Head of Sales Strategy for SPDR ETFs and have been in the ETF industry for 17 years. Through the years I have been responsible for ETF sales, Research, Capital Markets, and Advisor Education teams so my experience in the industry is fairly broad. My first job in the ETF industry was as a regional sales person responsible for the western United States. Kevin: The decision to join an ETF start up (as opposed to working at a larger, more established firm) really comes from confidence in the future of the ETF market. As the users of ETFs continue to grow the industry is beginning to be a real microcosm of the investing public at large. Unique, alpha generating strategies are necessary in this growing environment to accommodate some of the “active share” that is being lost. As the industry grows I wanted to help further add to the choices available to advisors and their clients. There really wasn’t a pivotal moment as much as a slow realization that this small industry that I had spent years helping to support and grow was changing the way people invest. I wanted to participate in that. JE: What are the things you work on, what are some of the challenges that you face in your role and what do you enjoy the most? Kevin: The biggest challenge we face currently is building awareness in an increasingly crowded space. To combat this I spend a lot of time doing media engagements, writing content for our website, and getting out to meet prospects and clients. For me “building it is the fun part” so the process of developing awareness and building a client experience that is world class is something I enjoy in a way that is only possible in a new venture. JE: Is there anyone in this industry you look up to, who has influenced you the most? Kevin: I have been fortunate to have worked with many incredible people throughout my career. Three people who I really learned a lot from are Tony Rochte, Bobby Brooks, and James Ross. Bobby really helped me understand the science of distribution, Tony brought my understanding of ETFs to another level and helped me become an effective manager while Jim rounded out my knowledge of fund operations and how to run a business. All three of them were very open with their knowledge and helped me develop a better understanding of the different facets of success. Kevin: The best advice I have received is to follow your curiosity. For those starting in the industry I would say to enjoy it. In order to be good at anything you need to spend a lot of time doing it and the ETF industry is no different. The only way you can put in this time is if it is not “work”. Find whatever part of the industry is of interest to you (investment, capital markets, research, sales, etc) and take the time to learn as much as you can about that area. Also try to get an understanding of how all the pieces (product, sales, marketing, etc) fit together as it gives you a better perspective. JE: If you had a magic wand, what one thing would you change in the ETF industry? Kevin: I don’t think there are any major changes needed however education (especially to new users) should continue to evolve to assure the pace of product innovation doesn’t outpace advisor education. 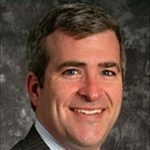 Kevin: I believe active exposure (Advanced Beta, Active insight with Passive Implementation like ACSI, or eventually non-transparent active) will surge over the next few years as advisors continue to adopt the ETF as the vehicle of choice for the masses. With this will come a great increase in ETF managers as many traditional mutual fund managers will want some ETF product representation to supplement their existing fund lineup. This trend has already started.